OVER 65? GET YOUR FLU JAB NOW. IT’S FREE BECAUSE YOU NEED IT! Anyone over the age of 65 can protect themselves against flu this winter with a free vaccination. 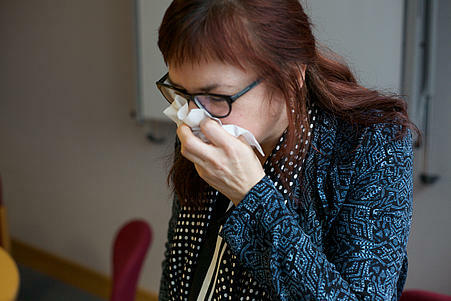 In winter 2013/14, over 9001 people nationwide were admitted to hospital with confirmed cases of flu and 10 per cent of all patients admitted died as a result of the flu virus. Dr Paul Oliver, Clinical lead, Nottingham North and East CCG said: “Flu is a really unpleasant illness, particularly for those over 65. You are more likely to become seriously ill and have complications like pneumonia or make an existing condition worse if you catch it. This may result in an unwanted hospital stay and can even be fatal. Look out for a letter from your GP telling you about the dates and times of their flu clinics. For the first time this year some pharmacies are offering the flu jab too. You will have to check with your local pharmacy but it’s another way of getting yourself protected. If you care for someone over 65 it’s advisable to get vaccinated too, so that you can protect yourself and the person you care for. Make an appointment today – it’s free because you need it.